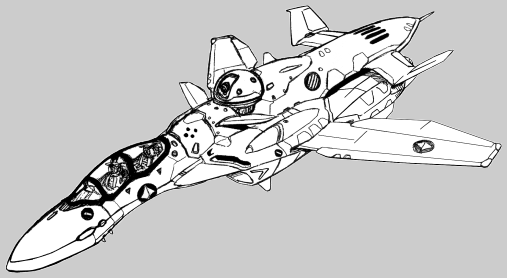 So, some years ago I found just a few images, supposedly official art, of a Phoenix variant that has a big ol' antimissile laser on its back with the turret ball replacing the head. For some reason it didn't include hands, so I shooped on some from... 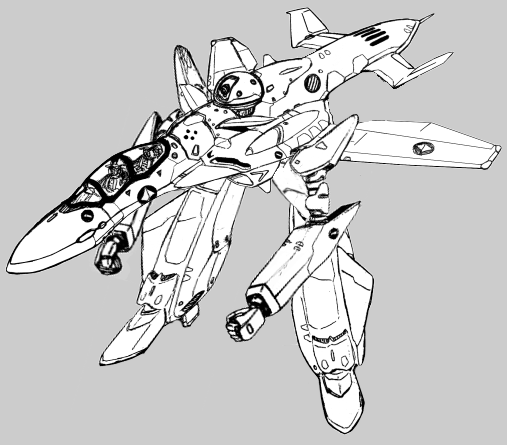 I think the VF-11B art? Not sure, it was a while back, like I said. Looks like there's some missile and/or chaff tubes at the tail end, as well, and what are probably FAST-style verniers and fuel tanks on the legs, or maybe more missiles behind the little hatches? 2) Super cool and bizarre, I don't recall having seen this before, it's quite the ugly duckling. Thanks! It's not actually that hard to do as long as you have fighter and battroid modes in approximately the right orientation, but neither is it a perfect result and I suppose someone who hadn't picked up all the same PS/GIMP tricks wouldn't think it was so easy. Fortunately I got my hands on my first copy of Photoshop something like twenty years ago, so I've had a little while to let it sink in, so to speak. I've done a couple of the things from Macross Design Works too, one of the Air Cavarly Chronicles units and the alpha from the alpha/beta pair (nothing to do with MOSPEADA, aside from the name scheme and the two-unit gattai) though I think they might have been on the drive of the tablet that died and didn't get recovered. Still, if it's not actual Kawamori art, someone put a heck of a lot of effort into reproducing his style accurately. 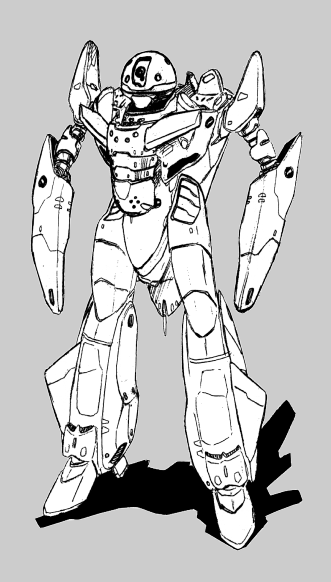 It would be cool to trace it in some vector art program so it could be scaled to arbitrary size as desired, and/or make some more views from existing VF-0 images.